Another year for paid search is quickly coming to an end. With the plethora of PPC developments that happened 2018, it is time to consider the key trends that will continue to impact search engine marketers in 2019. Audiences and automation appear to be the big consensus for 2019 among most industry experts. What are the top PPC trends you need to know about in 2019? 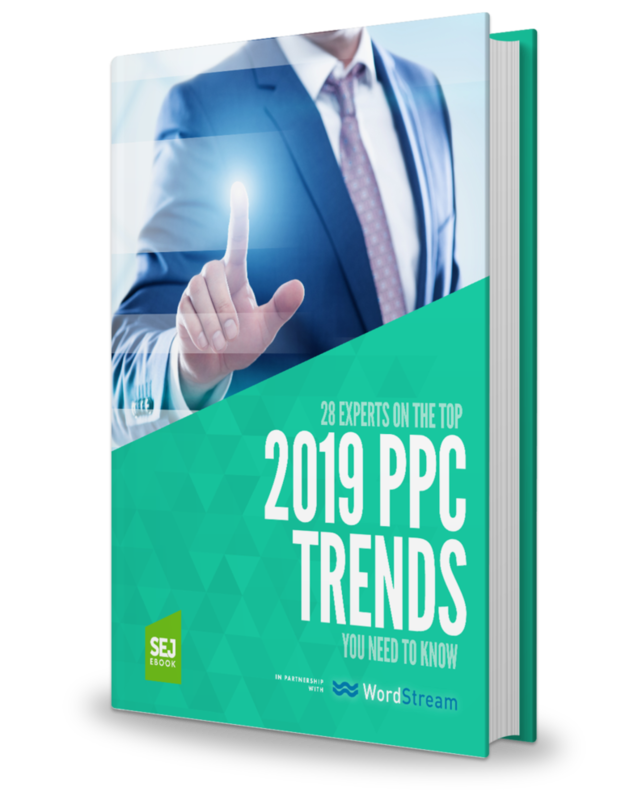 Download our ebook to find out what 28 of the top marketing experts say will be the biggest PPC trends for paid search, social ads, and remarketing in 2019 – and beyond. I want to receive the latest search news and updates from SEJ. Send me actionable insights from some of the SEO industry’s leading experts. Account Management & The Role of PPC Marketers. Attribution & Cross-Channel Advertising Experiences. More New Ad Types, Extensions & Features. Jeff Allen, Amy Bishop, Ilya Cherepakhin, Justin Freid, Brad Geddes, Daniel Gilbert, Navah Hopkins, Pauline Jakober, Larry Kim, Pete Kluge, John Lee, Aaron Levy, Andrew Lolk, Elizabeth Marsten, Wesley MacLaggan, Michelle Morgan, Brock Murray, Christi Olson, Brooke Osmundson, Marc Poirier, Lisa Raehsler, David Szetela, Andy Taylor, Frederick Vallaeys, Purna Virji, Susan Wenograd, Kirk Williams, and Ben Wood.